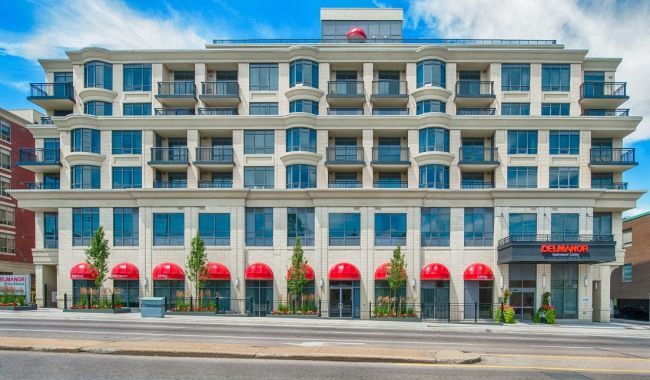 Delmanor Prince Edward is well-appointed, prestigious Toronto mature adult living, alive with active, independent seniors taking part in a variety of community activities. 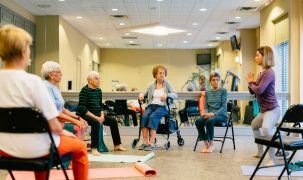 This tower on Dundas West creates a singularly vibrant community where residents can pamper themselves in the salon weekly, sit in on movie events in the main floor theatre, or keep up health in the fitness centre. People who move here find revival in the spectacular environs. 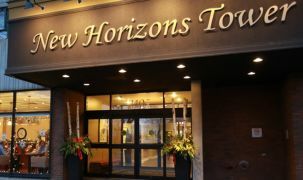 Nine floors of unparalleled Toronto mature adult living offer exceptional vistas of the city, including views of the CN Tower and the nearby Humber, as well as the bustling activity of Kingsway and Dundas West. If you're feeling outdoorsy, Lambton Park is a pleasant local greenspace. The main floor piano room is home to some fun singalongs, too. Assisted living is available on the second floor, where residents have many exclusive amenities, including a walk-in tub and other extra care facilities. 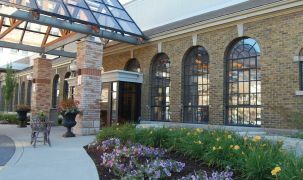 Delmanor Prince Edward is winner of an award for best assisted living in Etobicoke. Staff is helpful and exceptionally professional. This place really has to be seen to be appreciated; we urge you to go in and have a look. If you are looking for the absolute best in living, this is it! Delmanor's LivingWell program focuses on daily health habits, with individualized coaching that gently moves you in a healthier direction, through carefully set goals. The program focuses on minimizing typical health risks such as falling or diabetes-related problems, etc. Every LivingWell program is designed "just for you." The location and the facilities make this a very inviting place for family to come and visit. Mom has rejuvenated completely [at Prince Edward]… I cannot give more resounding praise for everything… especially the food! I am totally relieved that my mom is here. And I'm totally happy that she's here. It's great, and the thing that makes it the best is the staff.